If you’re reading this, be sure to congratulate Celeste Hoover, she finally made it onto the County Line staff! Celeste has always wanted to pursue a career in journalism, and plans to make it onto many more newspaper staffs in the future. If she’s not daydreaming about all the awesome articles she’s soon to write, Celeste is probably reading. Her favorites include Pride and Prejudice, and the Harry Potter series. 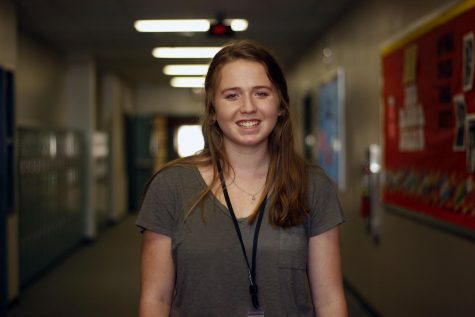 While she attempts to navigate the chaos that is her sophomore year, Celeste is also a part of the Cougar Octathlon team, Cinco’s chapter of LeagueX, Model UN, and of course, is a first-year staff writer for the County Line. She can’t wait to start her career and is so excited to see what this year will bring!